A historic instrument was signed in Moscow, Russian Federation today, 12 October 2016, broadening the Fiji-Russian bilateral relations to cover areas relating to cooperation in national disaster and in the mitigation of technological disaster. The instrument, known as the Protocol of Intentions, provides the framework that will guide the relationship between Fiji and the Russian Federation in National Disaster Management and Emergencies. The signing of this document is again another important step in deepening relations between the two countries. HE Mr. Vladimir Puchkov, Minister for Civil Defense, Emergencies and Elimination of the Consequences of Natural Disasters of the Russian Federation and the Hon. Mr. Inia Seruiratu MP, Minister of Agriculture, Rural and Maritime Development and National Disaster Management of the Republic of Fiji, both agree that the instruments they have signed will enhance the development and implementation of means aimed at strengthening the reliability of natural disaster forecasts and the assessment of disaster risks. 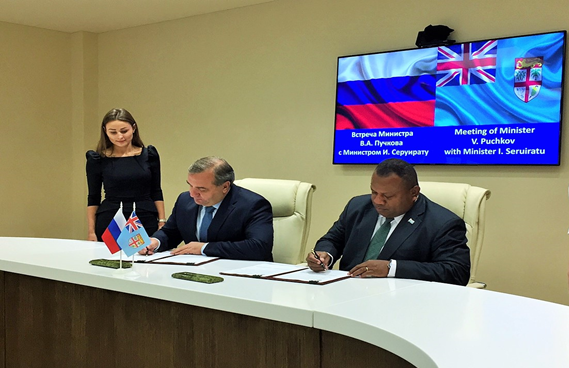 The two Ministers jointly expressed the hope that through this framework, more intensive cooperation between Fiji and Russia will be undertaken in the areas of Emergencies and National Disaster Management. It will also allow the parties to constantly review and determine the most effective directions of cooperation between the two countries, in the elimination and prevention of national emergencies. The two Ministers also underscored their commitment to enhance the joint participation of their respective national experts in various training initiatives to ensure that they are fully prepared to deal with any National Disaster situation or emergencies that occur. Other areas that were discussed by the two ministers include Information Exchange for National Disaster and the use of cutting edge technology in disaster preparedness, mitigation and resiliency. The Fijian Government, through the Ministry of Public Enterprises, invites expressions of interest from potential investors to participate in the partial divestment of the Fiji Electricity Authority. 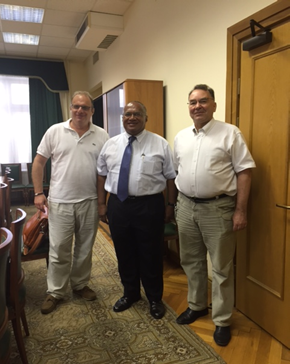 Ambassador Mataitoga met with senior representatives of the Chamber of Commerce & Industries of the Russian Federation (CCI), Mr Sergey VASILIEV, Deputy Chairman, Committee for Economic Cooperation with Asia and Oceania, and Professor Vadim SALTYKOVSKIY, also a member of the same committee in Moscow on 2 August 2016. The meeting explored areas and opportunities to further build and develop trade, business and investment relations between Fiji and the Russian Federation, as well as consult with private sector representatives on issues that Fiji should address to increase bilateral relations between the two countries. 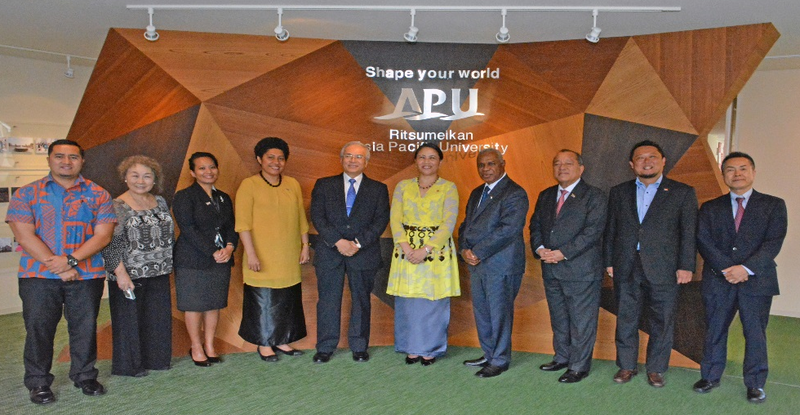 The discussions focused on exploring the potential niche markets for products such as virgin coconut oil, tuna, fiji water, sugar and Fiji’s range of beauty products. Tourism (sports and cultural) was also an area of interest in the discussions, focusing both on visitors from Russia as well as attracting investment into Fiji’s tourism sector. Furthermore, the prospect of a mini-trade/invesment Mission from Fiji to Russia was also explored and for our Russian counterparts to consider. 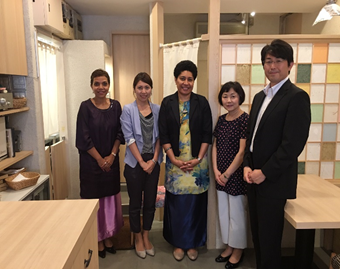 On Friday, 29 July 2016, Charge’ d’ Affaires, Counselor Mrs Korovou, hosted a lunch meeting with officials from the Japan Civil Aviation Bureau (CAB), of the Ministry of Land, Transport, Infrastructure & Tourism (MLITT), who were part of the Japanese delegation to the Air Services Agreement (ASA) and direct flight bilateral consultations, held in Fiji on the 6th – 7th of July. The FET was party to the coordination of this bilateral talks. The lunch was also attended by Second Secretary Kelera Savu. The meeting was to touch base on discussion outcomes in Fiji as well as to consider follow-up actions required from the FET side. The meeting noted that the Ministry of Foreign Affairs (Tokyo) has jurisdiction over the drafting of the revised ASA. Moreover, as per the bilateral discussions in Suva, the ASA will consider a series of modernized aviation provisions between Fiji and Japan, that anticipates expanding civil aviation cooperation between the two countries. This would allow the designated airlines of both countries to operate three passenger or cargo flights per week, beginning in late 2019, with an expansion to four flights per week. 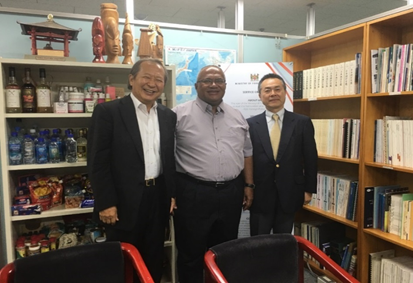 HE Mr Isikeli Mataitoga met with Mr Tetsuo Yamada, the President of BMC International, on Thursday, 7 July 2016, at the Fiji Embassy with the object of discussing newly established business ties with Fiji. The meeting was attended to by the Director of Pacific Islands Center (PIC), Mr Ryuzu Saito and Second Secretary Kelera Savu. BMC gave an update of their new venture with the Government of Fiji through Datec Fiji Limited. BMC International is widely renowned for developing efficient and secure VAT Collection Management Systems (VCMS), assisting Governments and National Tax Agencies with the VAT collections in over 20 countries. The FET was informed that, BMC in working with FRCA, will install systems in Supermarkets first before expanding to other business entities. The first shipment of VCMS is is expected to be air-freight in mid-August 2016. The relevant training for implementation is expected to be undertaken from November 2016. The Japan Export Vehicle Inspection Centre (JEVIC), on the 15th of June was appointed, by the Fiji Land Transport Authority (LTA), as the official Offshore Vehicle Inspector, tasked with “appraising vehicle conditions and ensuring some set standards in the quality of second-hand vehicles” imported into Fiji from Japan. The appointment, through competitive international tender, comes following consultations by the relevant authorities and agencies in Fiji. This was in response to complaints and issues raised by stakeholders with regards to the quality of used vehicles brought into the country. 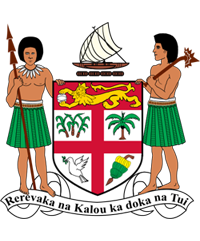 This appointment means that “beginning from 15th August 2016, no used vehicle imported from Japan will be allowed to enter Fiji, unless inspected and certified by JEVIC prior to shipping. The inspection in Japan will begin from 15th July 2016. The Government of Fiji’s Procurement Office under the Ministry of Finance is currently extending its invitation to overseas companies to bid for Government Tenders. This exercise is aimed at attracting vendors with quality products and excellent services that will boost competition within our local market.